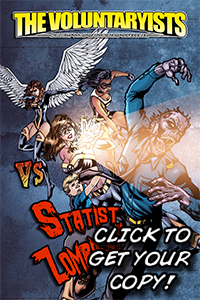 Voluntaryists Versus the TSA Campaign Ending Soon! Support now to make it happen! 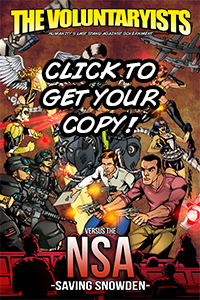 The Voluntaryists Versus the TSA comic campaign at Indiegogo.com is ending soon. We really need to push this comic up toward goal, so please consider how you can help make it happen. 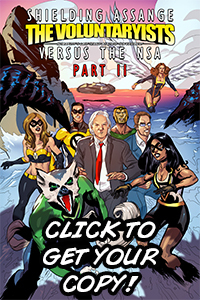 Even just $1 helps put the campaign up in the rankings and gets more comic content out! 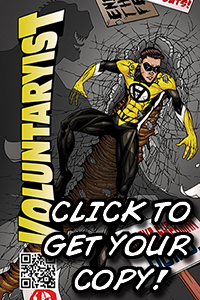 Not only that, there are so many cool perks around this time, from Voluntaryist action figures in packaging to making an appearance on the front cover! Check it out by clicking on the image link below! 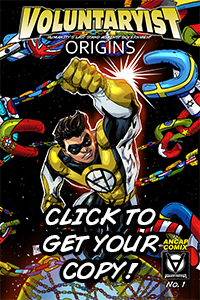 Thank you for standing for liberty and helping to make Voluntaryist the Comic Series a wild success!